Did you know that you can use the write feature to write overlays on your paper to create your own background? 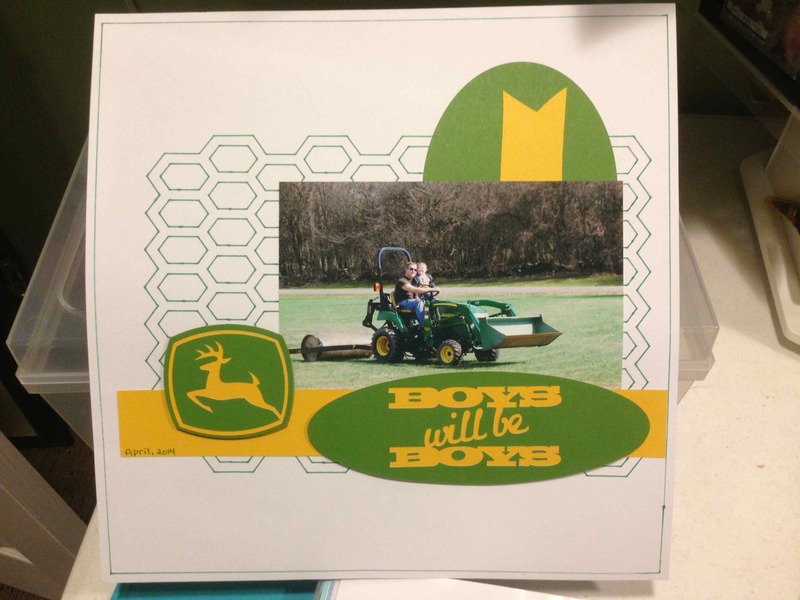 On this page, for example, I started with a Make it Now project from Cricut and altered the title and added in my own John Deere SVG logo. I was thinking of adding in a green overlay in the background when I decided to change the “Cut” to “Write” and see how it turned out. I just love how it changes the look of the overlay all together into something new and different!